In the summer of 2018, Britain’s Channel 4 came to Ontario to film an episode of a long-running program called Great Canal Journeys. The series features the husband and wife team of Prunella Scales and Timothy West as they embark on spectacular canal journeys across Britain and abroad. 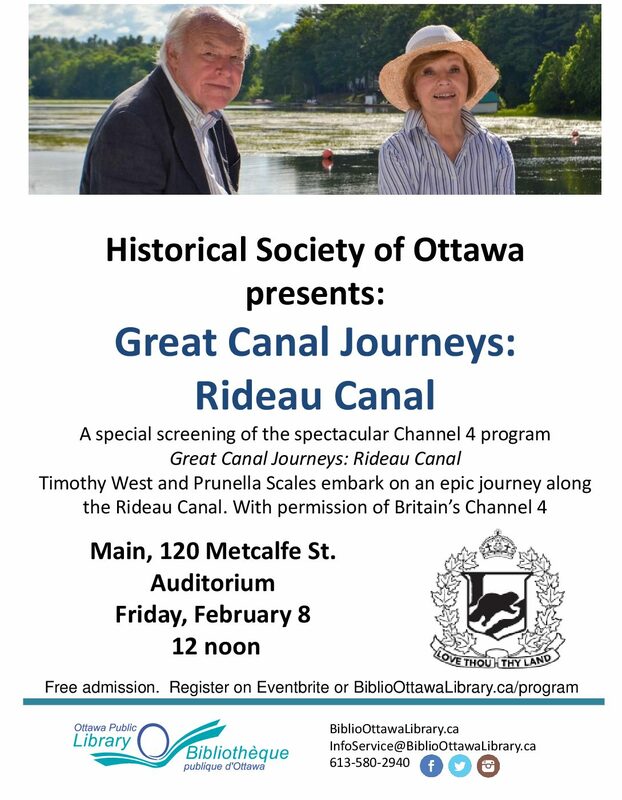 The Historical Society of Ottawa supported this production by providing local information for its Rideau Canal episode. We hope you can join us to view it together and we encourage you to invite your family and friends.